Update Notes #23: Prison Kingdoms Season 2! Discussion in 'News and Announcements' started by Fluxty, Feb 7, 2019. 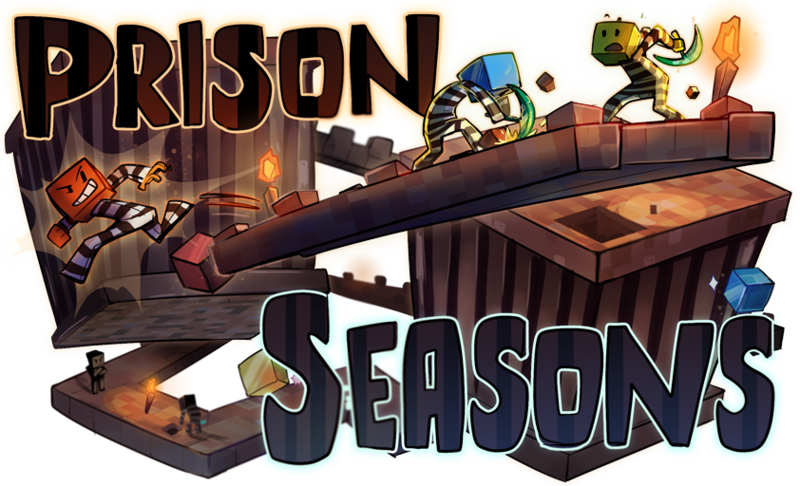 Alongside our announcement of the new season of SkyBlock, we also have a new season of Prison Kingdoms spinning up Feb 8th! We've patched dupes which were giving others an unfair advantage. The first season is always rough, but I'm looking forward to a better Season 2! As always, please privately report any exploits that may come up in the future to a staff member. New legendary gem - OPGG! This gem works similar to the eCoins gem. Put it on a pick and you can withdraw OPGG notes of any size which do not affect withdraw limits. New legendary gem - OPGG Shop! Place this gem in a chest shop and that chest shop will not be affected by the 24 hour transaction limit. [Major] We are changing the naming schemes for our seasons this time around. Instead of Prison Kingdoms: Season Medieval, we are renaming the seasons by numbers. So this season will be Prison Kingdoms: Season 2. Moving forward, to help us manage workloads, we're going to be doing smaller updates at the beginning of a new season and delivering more meaningful gameplay updates and features throughout the 3 month course of each season. We plan to do a lot with bosses this season, both in technical and gameplay updates. We have a lot in store for you guys coming later in Season 2! Thank you and I look forward to seeing you in the new Prison season! Great update! looking forward to this season! Sick update! Awesome as always! Great news. Does that mean the Top 5 placeces will be locked in tomorrow or today? Awesome! Keep up the great work. Looking forward to the new season! Looking forward to this new season!!! As always, love it! Can't wait for tomorrow, hope everyone enjoys it. I was told by a few people it wouldn't reset, so I bought a Journey pass. and at the moment I have 5 boss keys. what happens to those? The server will go offline for a day or so after the new season comes online, but once the old season is back up (in the legacy section of the lobby play button), you'll be able to continue your progress there if you'd like.